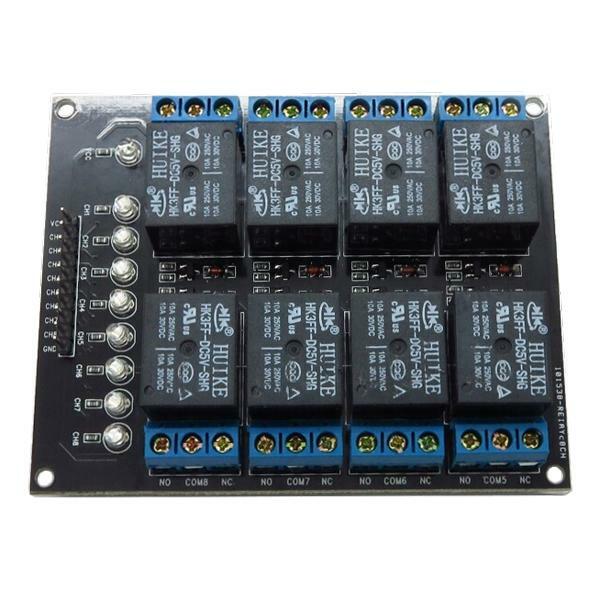 This 8 Channel 5V Relay Module has plenty of relay switching to handle most needs. Relays work like switches that a triggered electronically. 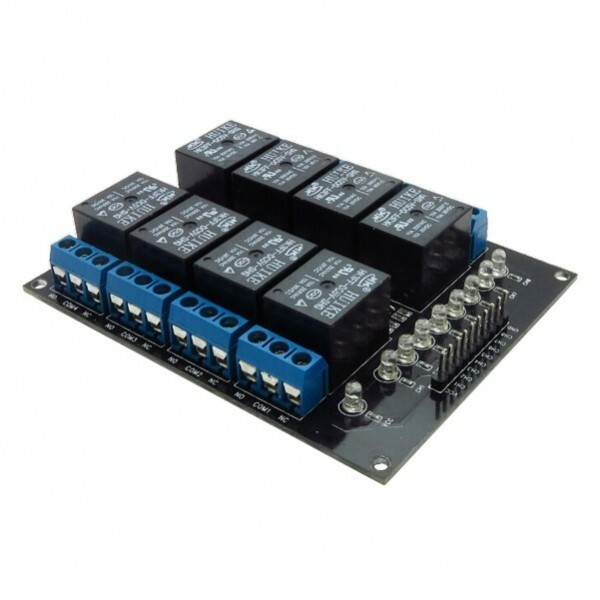 The relays on this module are controlled by simply using the digital outputs from your microcontroller to flip the relay switches. The relays act like SPDT Single Pole Double Throw switches and can be wired for both NO Normally Open and NC Normally Closed actions. Each relay channel has an associated LED for visual feedback. Use relays to isolate your robot's microcontroller from high voltage and current circuits.